A subsidiary of Fromageries Bel, the world’s third-leading producer of branded cheeses, Bel Brands USA’s home base is in one the most energetic cities in the Midwest. It’s from there that we shape our national brands and support our North American manufacturing facilities. 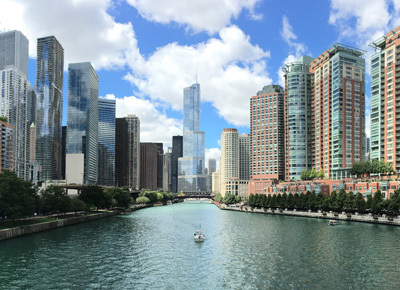 Chicago employees work across disciplines—including sales, marketing, finance, human resources, supply chain management, and industrial management. Our headquarters boasts an environment of innovation and excitement, and part of this stems from our commitment to career development. We look for and strive to retain people with strong leadership skills who are creative, collaborative, and entrepreneurial. Bel Brands USA is experiencing tremendous growth—our parent company’s goal is to double in size by 2025, and as one of their strongest arms, we’re a vital part. In order to reach this goal in a responsible way, we focus on involving and including our vendors in suppliers in development projects, investing in industrial innovation, and further developing our brands to strengthen relationships with our customers.